Mark Schlagel, 64, passed away at his home in Santa Barbara surrounded by family and friends after a short battle with cancer. crazy. As if he was taking flight. Fly free my brother, fly free! You will always be in our hearts!!! Born and raised in Santa Barbara, Mark attended Dolores & Jefferson Elementary, SB Jr. High, and SB High School class of 71. He excelled on the water polo team and also played the saxophone in a band. Go Dons! He went on to graduate from SBCC. Mark worked side by side with his brother at Mike Schlagel Concrete for 35+ years and will be dearly missed by all who worked with him. 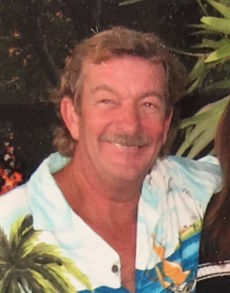 He loved surfing back in the day, traveled Europe on his motorcycle, loved to play golf, played softball most of his life with the local softball community starting way back with the La Bamba team in the 70’s. He liked fishing, live music and dancing, telling a joke, creating projects but mostly finishing them, doing crosswords, reading, going on adventures with Deb and his friends & was a pro at Guesstures & jigsaw puzzles at family parties. Mark had a sense of humor, lived his life from his heart and was kind and thoughtful. It seemed like he was always helping someone out. We lost one of the good guys! Mark left his ‘mark’ on us all and we will forever be touched by his loving spirit. Mark passed on his mother’s birthday, who preceded him in death 8 years. He is survived by his father, Don Schlagel; sister Teresa; brothers Mike & wife Lisa, Jerry & Randy; nieces Alexandra, Michele & Emily and nephew Preston; his best friend, partner in crime and wife Deb (who he tied the knot with this past Valentines Day) and her family; Tammy Schlagel and family; many cousins and close friends who loved him dearly, and all the kids and adults who called him ‘Uncle Mark’. A special thanks to his friends: Joe, Brah, Sammy, Billy, and the Rest of the ‘A Team’ for being there 24-7 in the final days. Also thanks to the professional and compassionate people at the Cancer Center of Santa Barbara and Hospice of Santa Barbara who provided us with care, support and love. A Celebration of Life will be held on Sunday, April 23 from 11-3pm at lower Manning Park. For more information check out YouCaring.com or Mark Schlagel Memorial facebook pg.